"Hiki te" - what is it really about? 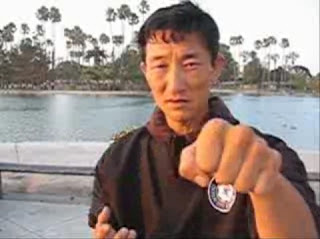 Pull backs in basic punches are ubiquitous in Asian traditional martial arts. 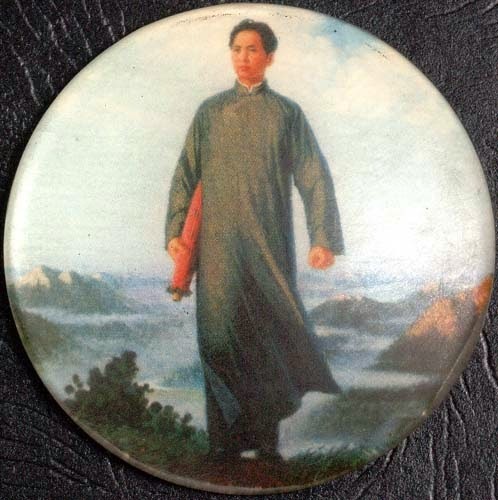 You'll find the same concept - usually chambered at the hip - in arts are diverse as karate, taekwondo, silat, hung gar gong fu and taijiquan... the list goes on. I've previously dealt with the subject of "chambers" quite exhaustively, as I have the traditional "corkscrew" punch, and I encourage readers to check out those essays to understand my position better. I won't be going into the subject of those topics (at least, not in any deep sense). It suffices for me to reiterate the central tenet of those articles: that basic form explores a full range movement. In reality, only a portion of that range might be used. Another way of thinking about it is that basics tend to get applied in an abbreviated form. Why bother with a "fuller" form just to end up abbreviating it? Well apart from teaching you basic planes and angles of movement in an amplified way that enables you to magnify and study those basic planes and angles (as I describe in the article linked directly above but also here), a fuller form also serves a very important function: preparing for the fact that your techniques will face resistance. Okay, so what do I mean by that? Why are larger (or rather "fuller") movements in any way related to preparing you for "resistance"? Surely the latter is all about just working with a partner? Well yes. But I'm talking solo form here - whether in a kata/shadow boxing or striking a bag/shield/dummy etc. That movement must prepare you for resistance even though at the moment of that solo practice there is none. Let's say you're doing a movement from a kata - eg. a throw. If you then apply it against an individual, and, via the "magic" of modern computing, remove your partner who was being thrown (your uke) you'll notice that your actual hand movement is smaller in the applied technique than it was in the kata. The applied technique explores a smaller range of the movement that you made in the kata. Sometimes it is almost as large - though not quite. 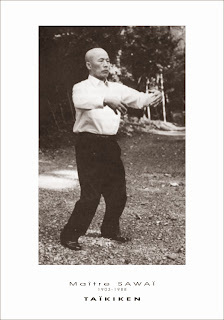 In other times, it is only half the movement of the kata technique you were interpreting. 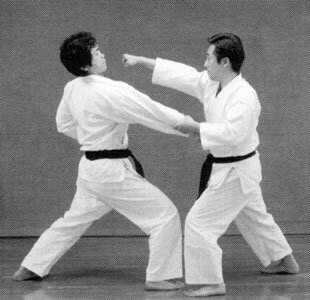 On average, I've found you end up somewhere in-between these two situations: the applied movement is approximately 75% of the kata movement. For example, if you want to pull on an arm, you might imagine you're pulling it all the way to your hip (see the silat basic at the start of the article). But you're very unlikely to get quite that far. As you can see from the adjacent image, you're probably going to pull back as far as your belly - not your hip - because of resistance. So why not practice pulling just to the belly? For this simple reason: you're going to end up pulling even shorter than that if you modify your practice to reduce the movement in the solo form. Put another way: larger movements condition you to expect larger movement against resistance. While that larger movement might be thwarted, you are still going to be pulling towards that "goal" - which means you'll be pulling harder and expecting more. Shorten the movement in a solo form and you'll apply it an even shorter form against resistance. I call this the "75% rule": whatever your solo form movement, when applied against resistance it will be, on average, a maximum of 75% of your solo movement. In other words, if, in solo forms, your motion corresponded exactly with the level/extent of your applied movement (be it a punch - which usually connects before full extension) or a pull (where you generally don't have a rag doll who will get thrown without a bit of effort), you'd find yourself moving 75% less than you needed to - ie. you'd fall short. That is my direct experience in teaching over the last 30 years: when you abbreviate solo form in class, the applied movement stops working as it should. The full movement makes up for the resistance you don't have - all while teaching you such things as correct plane/angle etc. by magnifying the movement. 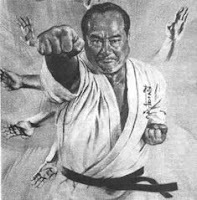 Which brings me back to pull backs - hiki te - in karate. 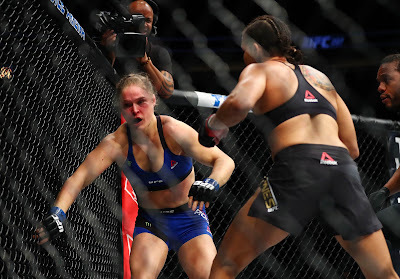 You can see from the adjacent image how karate might well apply every single pull back: as a grab and pull while you strike. This is a great reason for hiki te and it certainly matches my thesis above. 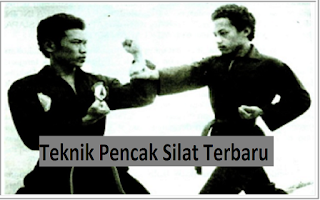 Many of my good friends in karate will teach any number of applications of kata where this aspect of hiki te is essential to making the application work (see my good friend Noah Legel's post here). Indeed, a substantial portion of my own interpretations involve using the hiki te to pull or otherwise control one limb (or the body) while striking with the other. But is this the sole/main reason for hiki te? I have already indicated that I do not think this is the case. I would argue that its function in basics is far more fundamental than that. Individual applications might be totally dependent on the hiki te as a pull or control. But in basic form, my sense is that it has more to do with what I started talking about: exploring a full range of motion. As I've discussed, this teaches you essential angles and planes of movement. But most crucially of all, it balances the body: your arms need to move in equal and opposite directions in order to remain balanced - never mind achieve optimal force. If you doubt me, try punching the makiwara while your "pull back arm" is tucked into your belt. Then let it move into a natural pull back (however you want to do it). Compare the results. Here's another test: try running a race with one hand tucked into your belt. You'll find that your arm swing really is crucial to your time (see this article if you don't feel like a run). It comes down to basic physics in the end. I'm tempted here to go to Newton's Third Law of motion - for every action there must be an equal and opposite reaction - but that isn't really what's at work here. 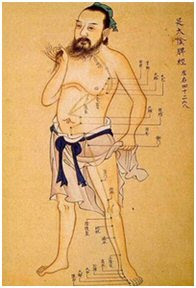 In basic terms, you need to have your body moving in a way that is efficient having regard to biology and physics. Your arms need to counterbalance each other for this to happen. The way we are built, one arm can't swing out with any force unless the other is counterbalancing it by going the other way. That is because you have to power your arms from your hips through your shoulders and into your arms via staged activation of body parts. If you try to move one of your arms without a corresponding action in the other, your entire body will feel the "brake" of this artificial idea. You are, after all, one connected organism with parts that necessarily work in concert (and react to each other's movements whether you like it or not). I think that in many respects, the hiki te in basic form is nothing more than this. But just the other night, my good friend, training partner and student Armando did point out to me that there is another very good reason for the hiki te: increasing your options. 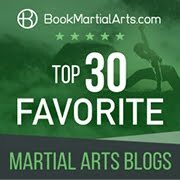 The above video discusses punching from a trapping, or other slightly extended guard, position - and the desirability of actually pulling back a little even though it seems to take a "longer" route. It might well do the latter, but it avoids an easy dismissal by your opponent if they are trained in sensitivity drills. You'll notice that Armando is able to "break" the connection to his partner Xin so that Xin can't "read" his next movement from physical contact. 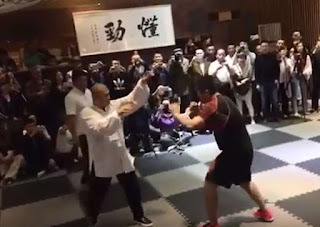 In our school (the Academy of Traditional Fighting Arts in Bayswater, Perth) we spend a lot of time learning to "listen" with our hands - so it's hardly surprising that both Armando and Xin are aware that their next movement can be predicted through continuous contact. Sometimes that contact needs to be "broken" so as to break the "predictability". And the extra room means Armando can find enough momentum to throw punches at different angles - where otherwise he'd have insufficient space/time to accelerate his punch and create enough force. All of this feeds into the more general observation that punches naturally get pulled back as they recoil. As a friend pointed out recently, people certainly don't leave their hand extended after punching. Where do their hands go? To some form of pull back - to go back to a guard or to generate force, if nothing else. Okay, that "pull back" might not be to a "full" position as adopted in traditional basics. But so what? Basics isolate full movements for practice. 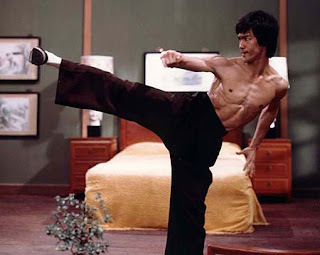 Against a resistant opponent, you might not get a chance to punch "full power": you might have to throw some stunted, abbreviated version, simply because of their resistance to you and the context in which you find yourself as a consequence. That doesn't mean you never explore your full range of motion - your full power. It doesn't mean you should practise little stunted movements "because that's all you'll ever apply". That sort of mentality sells you short - and manifests as even more stunted movement under pressure. So don't worry about your katas "full" pull backs. Know that they show an idealised "full" movement for solo practice. Know that this "full movement" will be limited quite naturally in application. It doesn't need to be limited by you artificially. You will face enough limitations in life without imposing added ones yourself. Nothing stops you from practising short-range punches, strikes and kicks. These are deliberate variations that should form part of your pantheon of training methods. Just don't fall into the trap of some sort of absolutist idea that your solo form "needs to match reality" in every case. Solo form isn't reality. And, paradoxically, a fuller movement in solo form is more likely to lead to the successful application of your technique than some stunted variation that "physically matches resistant reality". As my instructor Bob Davies used to say: "Pull back to elbow someone behind you as hard as you're punching someone in front." It's all about counter balancing the body. The rest - hiki te as a pull or control in interpreting kata movement - is all a bonus once you have good, solid body mechanics. 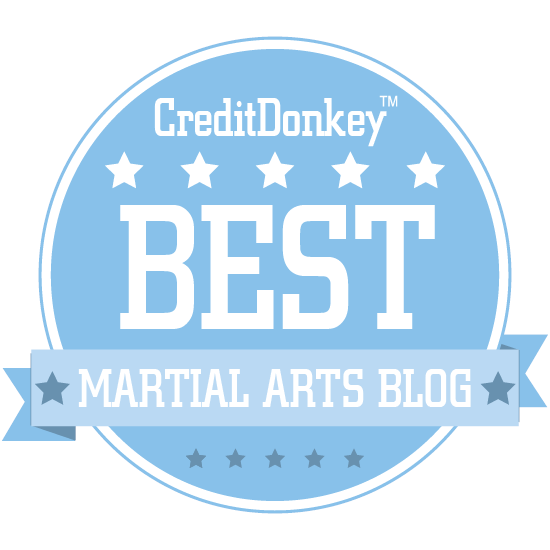 Winner - Best Martial Arts Blog 2017!